Although the behavior of the so-called migrant caravan is on display for all to see, the Democrats and their news media propagandists continue their lies and deceit over illegal immigration and those law-breakers’ political supporters. While the Democrats and their news business sycophants utilize a false narrative when discussing issues related to illegal immigration and its impact on American society, the cold, hard truth is that the nation’s middle-class citizens are paying the tab for the left-wing politicians’ campaigns and they are paying for the welfare benefits of the Democrats’ illegal alien “plantation” which includes a bonanza of benefits. In a Conservative Base news story appearing on December 4, 2018, editor Jim Kouri — a former law enforcement, public safety and security chief — exposed the arguably treasonous conduct of a U.S. congresswoman who visited Tijuana, Mexico, to join the migrant caravan stranded over the weekend. While there in a foreign country, U.S. Congresswoman Pramila Jayapal (D-Wash.) blamed President Donald Trump for manufacturing the crisis of asylum seekers wishing access to the United States. Jayapal, a leader of the Congressional Progressive Caucus and one of the most outspoken critics of Trump’s immigration policies, visited several shelters where members of a migrant “caravan” are being housed as they wait for their claims to be processed amid large backlogs. Rep. Jayapal, like most of her fellow Democrats, perpetuates the lies that illegal aliens are rarely criminals or gang members, and that illegal and legal immigrants are not costing taxpayers billions of dollars especially the costs associated with welfare programs that provide benefits such as food, clothing, shelter, schooling, healthcare and other necessities. 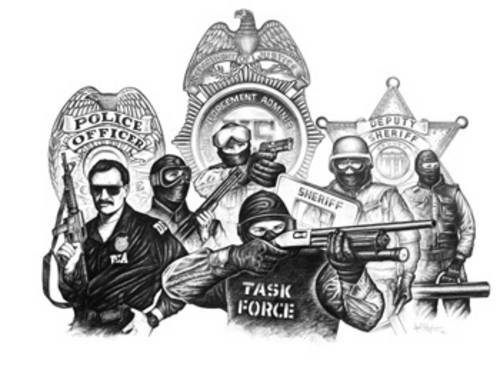 The vast majority of local, state and federal Democratic officeholders spend more time and energy covering up murders, rapes, robberies and gang activity involving illegal aliens and they always can count on the majority of news outlets to help them to keep incidents involving immigrants’ crimes, access to welfare, and the diseases they are bringing into the United States. 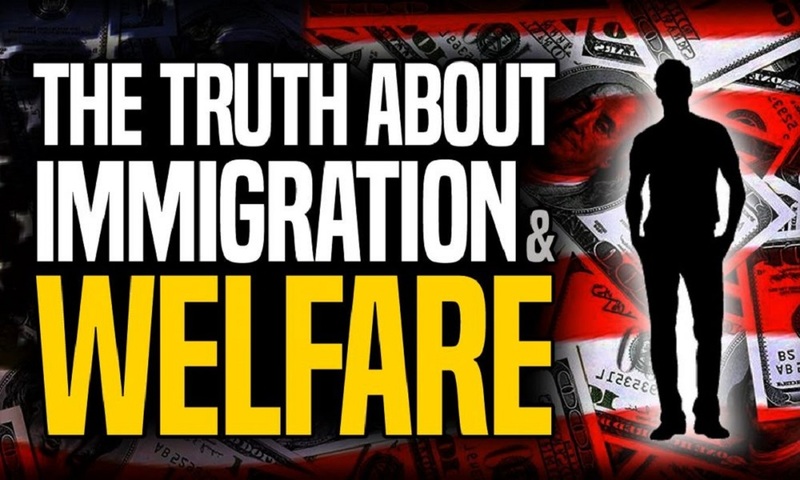 As far as the Democrats’ claim that few immigrants are living in the U.S. collecting cash and services meant for poor citizens or legally processed immigrants, a Center for Immigration Studies report released on December 2, 2018 actually shows that a higher percentage of immigrants are receiving welfare benefits than are U.S. citizens. New rules issued by the Trump administration expand the list of programs that are considered welfare, receipt of which may prevent a prospective immigrant from receiving lawful permanent residence (a green card). Analysis by the Center for Immigration Studies of the Census Bureau’s Survey of Income and Program Participation (SIPP) shows welfare use by households headed by non-citizens is very high. Welfare use drops to 58 percent for non-citizen households and 30 percent for native households if cash payments from the Earned Income Tax Credit (EITC) are not counted as welfare. EITC recipients pay no federal income tax. Like other welfare, the EITC is a means-tested, anti-poverty program, but unlike other programs one has to work to receive it. Including the EITC, 31 percent of non-citizen-headed households receive cash welfare, compared to 19 percent of native households. While most new legal immigrants (green card holders) are barred from most welfare programs, as are illegal immigrants and temporary visitors, these provisions have only a modest impact on non-citizen household use rates because: 1) most legal immigrants have been in the country long enough to qualify; 2) the bar does not apply to all programs, nor does it always apply to non-citizen children; 3) some states provide welfare to new immigrants on their own; and, most importantly, 4) non-citizens (including illegal immigrants) can receive benefits on behalf of their U.S.-born children (a/k/a anchor babies) who are awarded U.S. citizenship and full welfare eligibility at birth. No single program explains non-citizens’ higher overall welfare use. For example, not counting school lunch and breakfast, welfare use is still 61 percent for non-citizen households compared to 33 percent for natives. Not counting Medicaid, welfare use is 55 percent for immigrants compared to 30 percent for natives. Welfare use tends to be high for both newer arrivals and long-time residents. Of households headed by non-citizens in the United States for fewer than 10 years, 50 percent use one or more welfare programs; for those here more than 10 years, the rate is 70 percent. In other words, the longer a non-citizen lives in the U.S., the higher their welfare rate. Welfare receipt by working households is very common. Of non-citizen households receiving welfare, 93 percent have at least one worker, as do 76 percent of native households receiving welfare. In fact, non-citizen households are more likely overall to have a worker than are native households. The primary reason welfare use is so high among non-citizens is that a much larger share of non-citizens have modest levels of education and, as a result, they often earn low wages and qualify for welfare at higher rates than natives. Of all non-citizen households, 58 percent are headed by immigrants who have no more than a high school education, compared to 36 percent of native households. Of households headed by non-citizens with no more than a high school education, 81 percent access one or more welfare programs. In contrast, 28 percent of non-citizen households headed by a college graduate use one or more welfare programs. Like non-citizens, welfare use also varies significantly for natives by educational attainment, with the least educated having much higher welfare use than the most educated. Using education levels and likely future income to determine the probability of welfare use among new green card applicants — and denying permanent residency to those likely to utilize such programs — would almost certainly reduce welfare use among future permanent residents. Of households headed by naturalized immigrants (U.S. citizens), 50 percent used one or more welfare programs. Naturalized-citizen households tend to have lower welfare use than non-citizen households for most types of programs, but higher use rates than native households for virtually every major program. Welfare use is significantly higher for non-citizens than for natives in all four top immigrant-receiving states. In California, 72 percent of non-citizen-headed households use one or more welfare programs, compared to 35 percent for native-headed households. In Texas, the figures are 69 percent vs. 35 percent; in New York they are 53 percent vs. 38 percent; and in Florida, 56 percent of non-citizen-headed households use at least welfare program, compared to 35 percent of native households. “Some advocates for expansive immigration argue that household comparisons are unfair or biased against immigrants because someday the children who receive welfare may possibly pay back the costs of these programs in taxes as adults. Of course, the same argument could be made for the children of natives to whom immigrants are compared in this analysis. Moreover, excluding children obscures the fundamental issue that a very large share of immigrants are unable to support their own children and turn to taxpayer-funded means-tested programs. 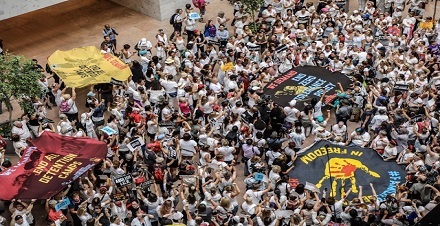 In terms of the policy debate over immigration and the implications for public coffers, this is the central concern,” states the CIS report’s writers Steven A. Camarota and Karen Zeigler. One illegal is one too many to be here. Build our Wall Mr. President. I’m a Conservative and realize that our politicians, for the most part, are NOT Conservative. Many “Republicans” in the House and Senate did NOT push for the Wall, push for infrastructure repair or Immigration programs with teeth. THEY STILL control the House and Senate and aren’t doing a damn thing. Now we have a Democrat House come 2019, which will “investigate” the Clinton Foundation” THIS is a dog and pony show. They will conclude that there isn’t enough evidence to forward this to the Senate for indictment. Our politicians on BOTH sides of the aisle treat us as imbeciles and why shouldn’t they? They continue to do what is profitable for them and we keep voting them in. The ONLY saving grace is the internet. The pressure cooker has been building steam for the last few years and it WILL blow. WHEN this occurs our “leaders” will find out what happens when you continue to screw your constituents. No one is standing up for the citizens of this country. The Republican Party disgusts me. Voters gave them the Presidency, Senate and House and nothing of merit has been done on the illegal immigration problem. The Democrats are even worse, it appears their main agenda is Communism using weaponized Socialism to get them there. Since we are a nation that allows our elected officials to pick and choose which laws we are to obey, immigration both legal and illegal are not high on their list. Trump was elected in large part due to his campaign promises on immigration, most of his voters feel he has not used the full power of the Presidency to slam the door on the Mobile Mob and the other invaders that will follow. If a 9 month pregnant women who already has one child can climb over the fence bring the child along, then have a baby on the US side within hours after sneaking in is not saying much for the effectiveness of a wall or fence. The ONLY way to is remove ALL incentive to come here, no more free anything and a huge fine for any citizen that hires an illegal. Since our politicians are never going to do this, enjoy what’s left of our country. We are fast losing our language, culture and American way of life.